Travel to Isfahan will be one of the most memorable trips for any tourist. Persian proverb says Isfahan nesf-e- jahan (half of the world). This city has many historic attractions that are famous all over the world. In this section we have prepared a list of the Top places to visit in Isfahan to guide you when traveling to Isfahan. One of the most important attractions of Isfahan is Naqsh-e jahan square. 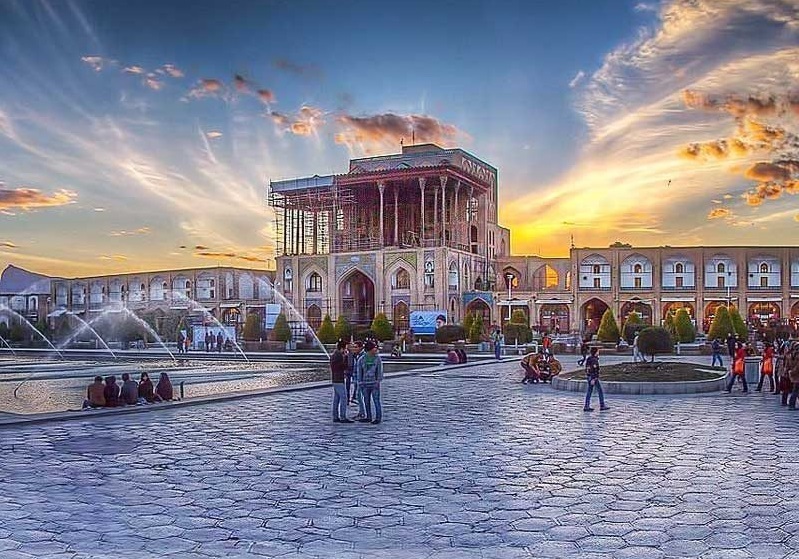 This square is the central square of this city and also known as Meidan Emam.This square was built during the Timurid era and developed during the reign of Shah Abbas I. Naqsh-e jahan square is a memorial to the magnificent architecture of the Safavid era. At the time of Shah Abbas I, this square has been a place for polo games, rituals, celebrations and various shows, as well as military parades. There are still two polo’s goal that belong to that period. Sheikh Lotfollah Mosque is an architectural masterpiece of the Safavid era. The construction of this Mosque began in 1603, and was ended in 1619. Sheikh Lotfollah Mosque stand on the east side of Naqsh-e jahan square. Also this mosque has one of the most beautiful domes in the world. And it is one of the Top places to visit in Isfahan. The Allahverdi Khan Bridge which is commonly called Si-o-se-pol. This bridge is beautiful and unique, and it is one of the most famous bridges in Iran. This bridge is located at the southern end of Chaharbagh Street or the enghelab Street. 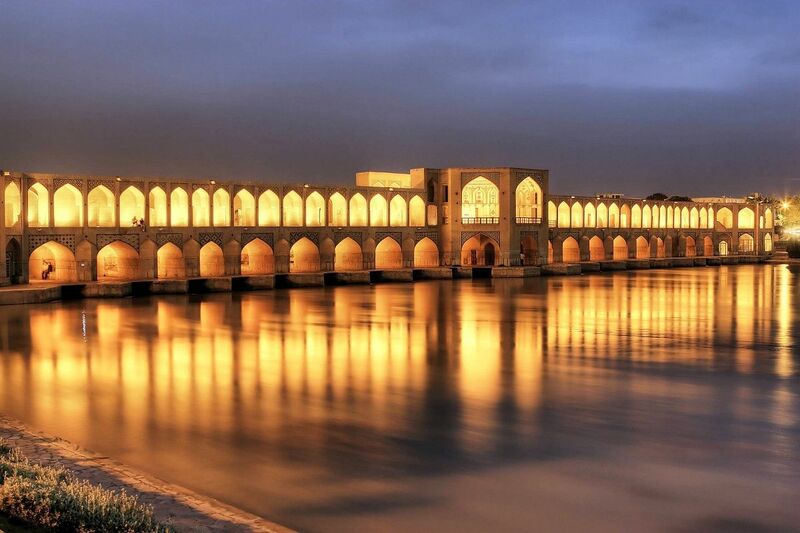 The Si-o-se-pol bridge were constructed on Zayandeh-Rood river in the early 17th, with the supervision and cost of the famous Safavid commander, Allah Verdi Khan. Khaju Bridge is more famous than other Zayandeh-Rood bridges due to its tiling and architectural decoration. In the past, this bridge has functions and features such as dam and water flow regulation. In terms of architecture, solidity and symmetry, this bridge is unique. The Chehel Sotoun Palace is One of the royal gardens of the Safavid dynasty in Isfahan. According to the inscription of its date, has the title of the most blessed building in the world. 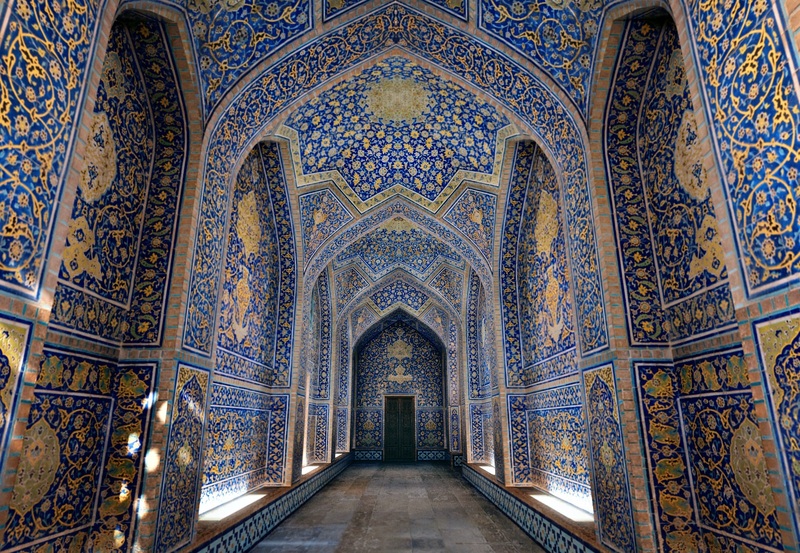 The architecture of this palace is a combination of Chinese, Iranian and European art. 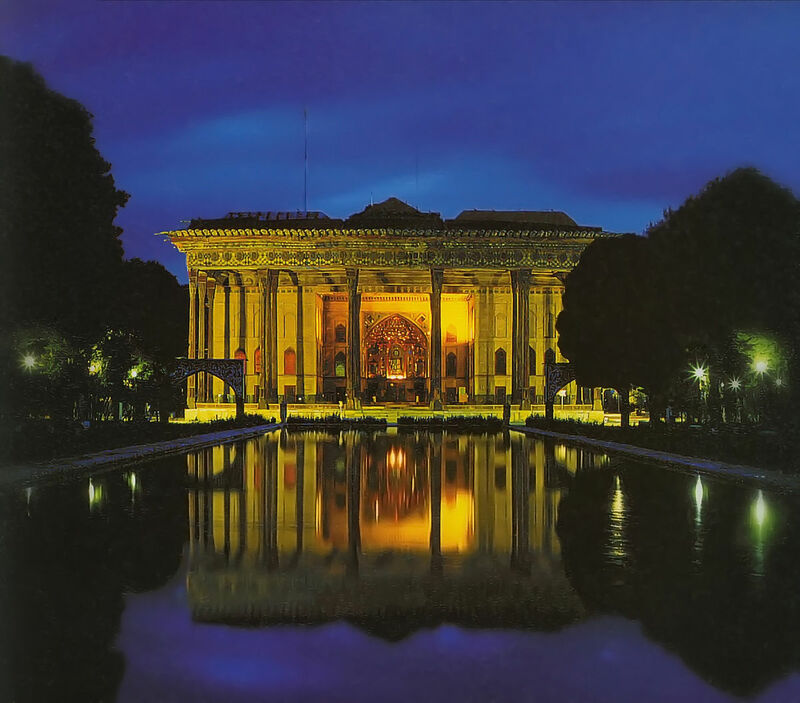 The meaning of Chehel Sotoun in Persian, referred to the twenty pillars, when reflected on the beautiful and large pool of the mansion, appear to be forty. This garden is also a memorial of the Safavid era. 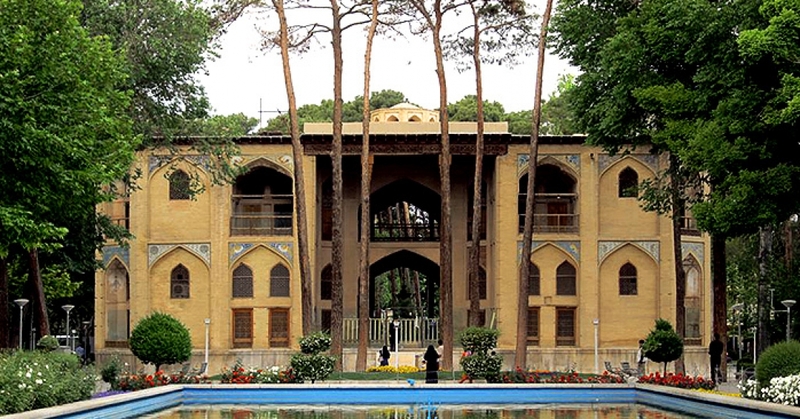 Hasht Behesht, which is a type of flat gardens, is located in Isfahan’s famous Charbagh Street. On the first floor, if you look everywhere, you can see beautiful and unique stuccoes. What is important in this mansion is a connection between spaces and its various parts. Despite of the diversifying spaces, still unity and integrity of decoration are preserved. Vank Church is one of the most famous churches in Iran and the largest church in Isfahan. 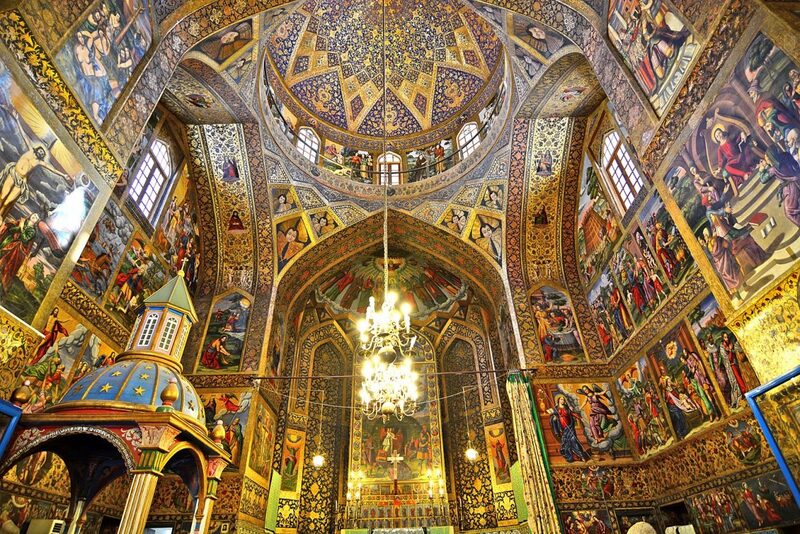 In terms of historical paintings and decorations, definitely this is the most beautiful church in Isfahan. The church was built with the combination of Iranian and Armenian architecture that is unique in the world. The construction of the Vank Cathedral lasted about 10 years.